Yup, we highlighted these once before, too. But again, they deserve the attention. We comb through the game-worn NBA memorabilia quite a bit on the 'bay, and Magic's game-worn kicks don't show up much at all — let alone personalized Weapons. 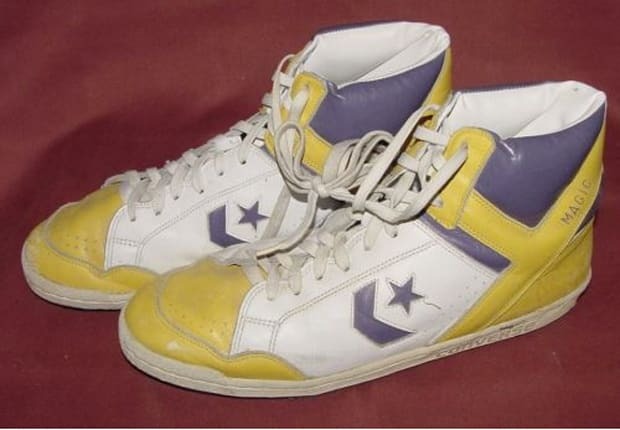 Guys wore shoes for a lot longer than one game back then, too.